Are you new to vaping? Even if you’re a seasoned veteran, wading through the pool of different lingo, equipment, and even etiquette can be frustrating without a proper guide setting the best path. As vaping continues to increase in popularity, having a guide such as the one you’re about to read will be an essential tool for feeling comfortable and cool during your transition into vaping. A vaporizer, or another vaping device, consists of a couple of essential components. The tank: where the e-liquid is stored. Cotton wick: the means by which the e-liquid is absorbed. When you turn on or activate the vaporizer, the tank quickly heats up, turning the juice into a vapor which you can then breathe in. If your head is already spinning due to terms like “tank” and “cotton wick,” that’s okay. 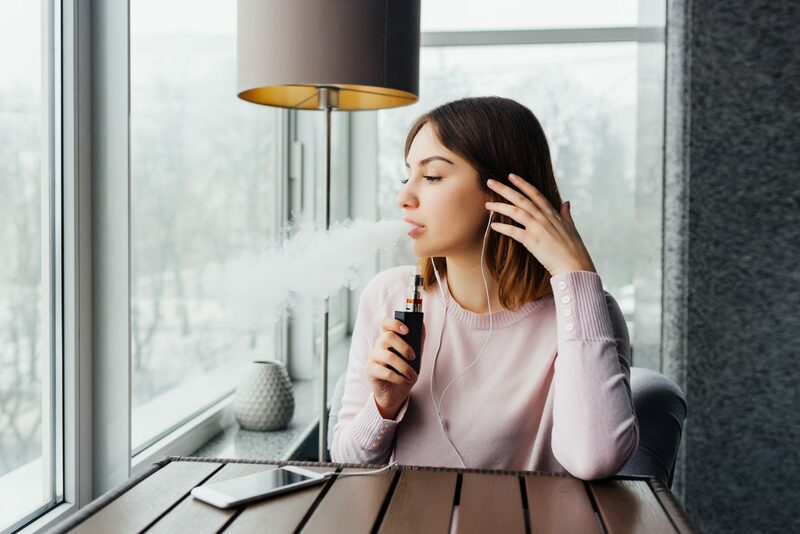 Because the words associated with vaping can be so different from other forms of smoking, it’s necessary to have a solid handle on their meanings. Atomizer: A small tube that is packed with a tight coil, this is perhaps the essential part of any vaporizer, as it is the coil that heats up and converts the juice into vapor. E-cigarette: A vaporizer that visually resembles a typical cigarette. E-liquid: Another name for the juice you put into your vaporizer. Mods: A vaporizer that’s been modified and customized by the purchaser, so it no longer resembles a mass-produced vaporizer. Propylene glycol: The most common liquidused as a nicotine delivery system. Vapor: The cloud of gas your vaporizer exhales and you inhale.. Vegetable glycerin: Another liquid that can serve as a base for a nicotine delivery system. It is made mostly from oils derived from plants and is preferred by those who find propylene glycol-based juices too harsh for their throat. Disposable vaporizers: These vaporizers are small, disposable, and closely resemble typical cigarettes. If you’re a cigarette smoker, they make the perfect entry point to the world of vaporizers. Their main downside is you won’t be able to customize the flavor or smoking experience. Mods: Many veteran vapers prefer mods, also known as advanced personal vaporizers, due to the ability to customize the perfect device for themselves. With mods, you can change things like tank size, coil temperature, and battery power. Some even come with electronic displays and adjustable settings. Rechargeable vaporizers: This device is slightly more sophisticated and customizable than a disposable one, yet isn’t nearly as complicated as a mod. These usually come in two to three pieces, including a rechargeable battery, a tank, and an atomizer. 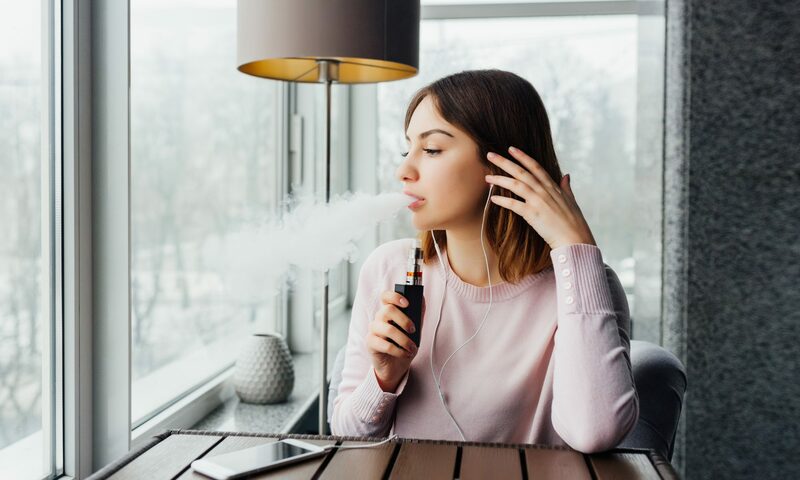 As previously mentioned, one of the great things about vaping is that regardless of the device you choose, there will still be a higher level of personalization than what you would find with cigarettes. One aspect of that personalization is nicotine strength. It can be dizzying to figure out the nicotine concentration for your preferred e-liquid. For newcomers, though, it’s always best to start small and work your way up. Starting at too high of a concentration right of the bat, especially if you’re not used to it, can induce coughing and may turn you off from vaping altogether. So, when it comes to nicotine strength, start low and go slow. As vaping is relatively new, the social rules and etiquette around using a vaping device are constantly shifting. The best practice is to use common sense. Don’t vape in crowded, enclosed spaces like a restaurant, theatre, or bus. Also, make sure to not vape or leave your vaping tools lying around children or pets, as nicotine is a poisonous product to them. However, in your own home or wide-open outdoor spaces, you should feel comfortable enough to vape away. Of course, if you’re renting your house or apartment, check your lease to see if smoking or vaping is allowed. If you’re unsure, reach out to your landlord and explain the difference between smoking cigarettes and vaping so they can have a better understanding of you and other tenants. Smoking Buddha is Colorado’s premier smoke and vape shop. We’re open seven days a week, so whether you want to check out our wide assortment of vaping products or just have a question for our knowledgeable staff, we’re here to provide tons of great information and help you with your vaping needs.